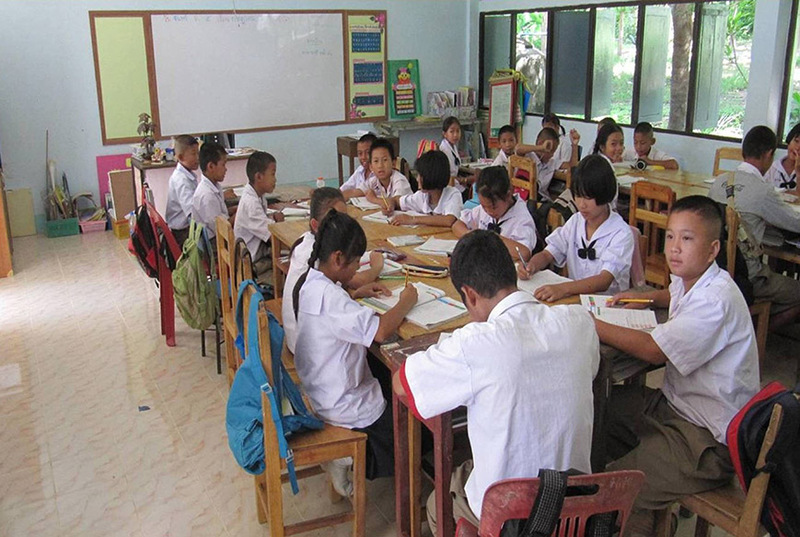 Our community project programme began in 2004 with the discovery that many local schools in the Mae Ai area struggled to provide adequate facilities for their students, especially in terms of sufficient and hygienic toilets, canteens and kitchens and in some cases fresh water supplies. 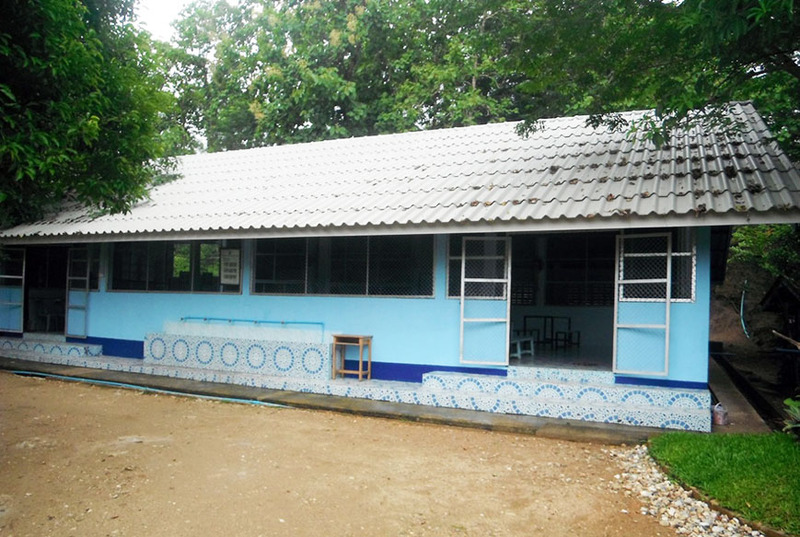 One of the first projects undertaken was to improve toilets in a school where there was only one working toilet for 400 students. Since the start of this programme, almost 150 projects have been completed. These have been funded by visiting international and other schools, as well as institutions from abroad. As of the end of 2016, the combined figure for all the projects was rapidly approaching US$750 000. In nearly all cases, visiting students from around the world have raised funds and then have come to contribute to the building work. When we began our school improvement programme, priority was given to projects which addressed health and hygiene problems. To improve some very dire conditions, projects were aimed at building new or refurbishing existing toilets, canteens, kitchens, and medical rooms and also drilling wells and building water tanks to improve water supplies. ... and the new canteen! The programme broadened out to focus on improving educational facilities such as the provision of libraries, classrooms, language centres and IT rooms. 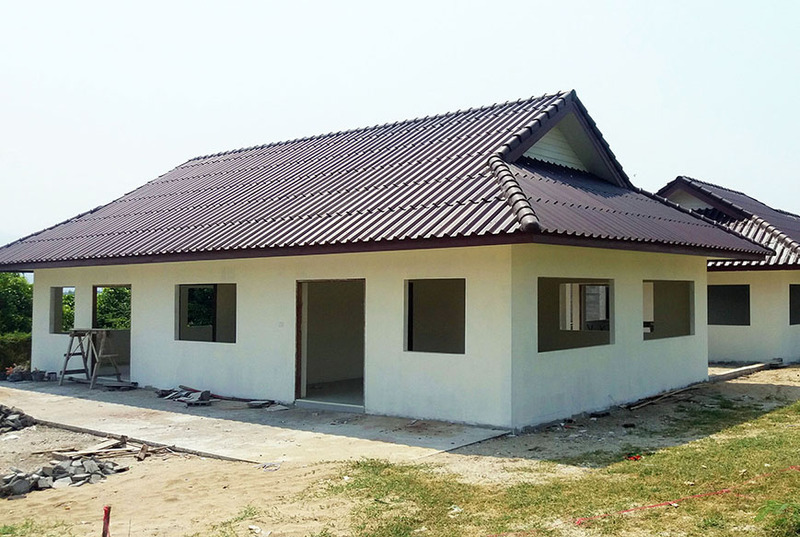 New nurseries have allowed more children to attend school (and to learn Thai) and also have given both parents a better opportunity to work while their children are taken care of. 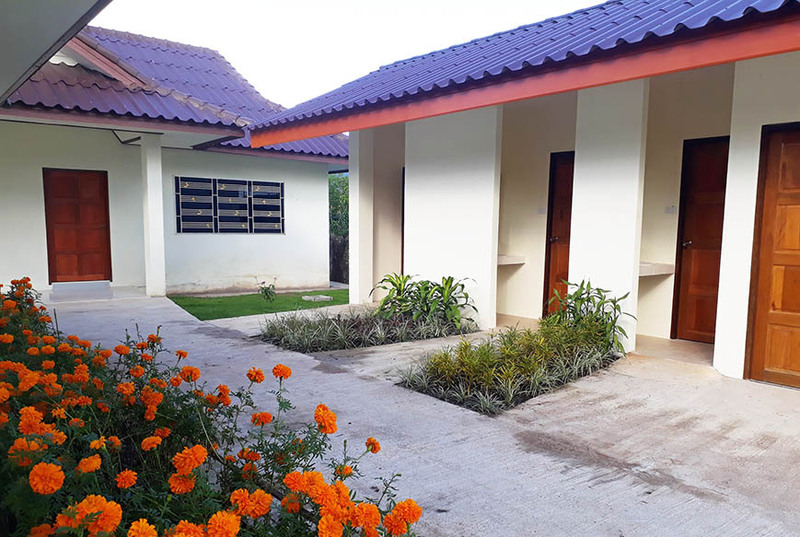 We have also constructed a number of dormitories and this allows students to be weekly boarders rather than face, as in some cases, an 8 km walk down from and back up to their village in the hills. In some cases a visiting school has focused on one particular local school during their annual visits. 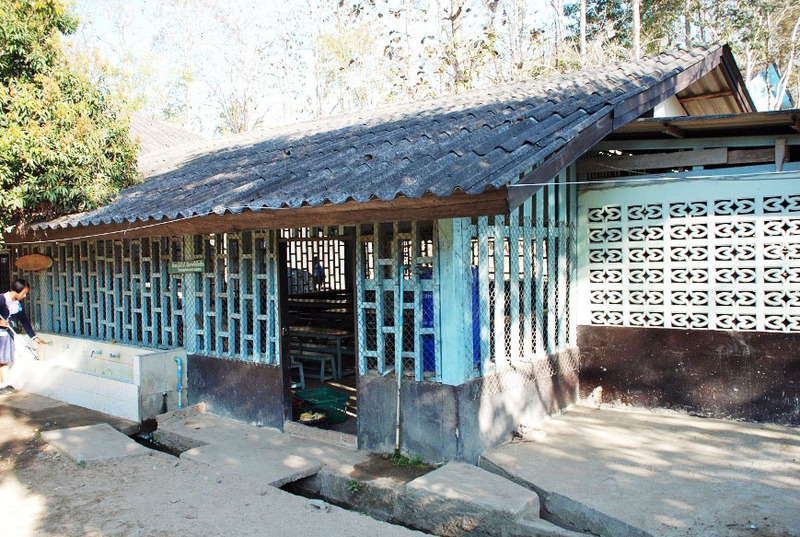 For example, over a 6 year period, West Island School from Hong Kong provided toilets, a canteen, library, nursery, school shop and a medical room to Hang Tum School. The help from West Island School was a great impetus for the school to take in initiatives of its own, adding to existing projects, improving the landscaping and developing a small farm. As a result of this joint effort, Hang Tum School has won awards for being one of the best equipped and best kept schools in the North. 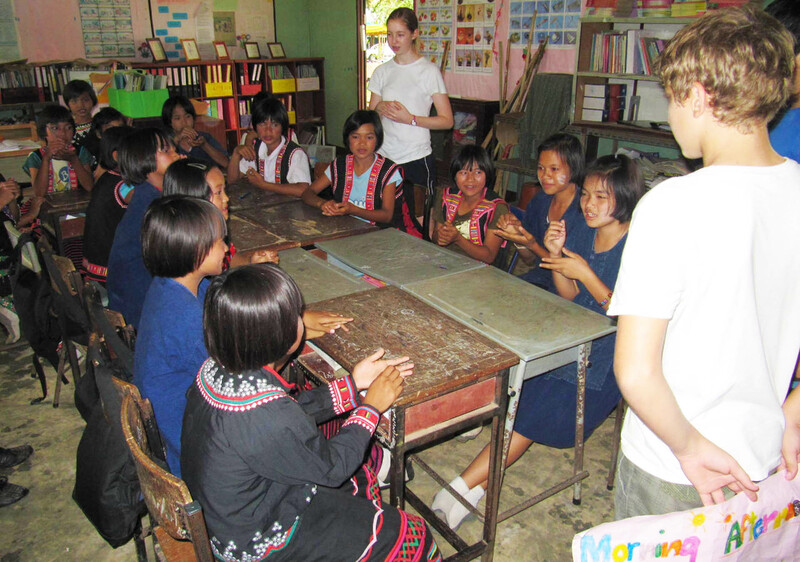 Visiting school groups also enjoy the challenge of teaching. Lessons are either prepared before arrival or during the time they are here. Full guidelines and advice is provided. In many cases, students tell us that of all the various activities they undertook during their time with us, this was the most rewarding and enjoyable. It is often the case that students have returned to the MRVR to teach in local schools during their holidays or on leaving school before moving onto university. This has encouraged us to offer a short packages for Year 11s, 12s and 13s in their summer holidays, giving an opportunity to broaden horizons and become more independent – a valuable experience before applying for college! The MRVR has also become the Thailand base for Africa Asia Venture a UK gap company as well as offering our own longer stay gap opportunities to those wanting to come independently. To this send, we have also built accommodation for volunteer teachers in 4 schools. Whilst building projects and teaching English has been the main focus, we also provide opportunities for schools to engage in other types of activities. Visiting students have offered I.T. and art based projects as well as music and drama and it has been a great experience for both local and visiting students to work together and learn from each other. In addition, all visiting schools enjoy sporting and cross-cultural activities with their hosts. We have been fortunate that teachers from international schools have given their time and paid their transport costs (but we provide free board and lodging) to conduct professional training for local staff. These ‘workshops’ in English teaching, art, special needs support and I.T. have been very well received as these opportunities are not readily available for local staff. Visiting schools have also brought library specialists to set up and demonstrate how libraries can be places of more active learning. Another area of support is for local students (and families) who find themselves in a difficult position when they have completed primary school. As in most cases the primary school is close to home and so a walkable distance, but when it comes to moving on to middle school, parents find themselves unable to afford the extra costs of transport and school lunches, plus other necessary equipment. We ask the heads of primary schools to identify children in need and visiting international schools are now taking on sponsorship of these young people who want to complete their schooling. Dreams of a better future are now more likely to be realized with this generous support and currently, over 40 students are being supported through this project. Several students from the earlier cohorts have already entered university and more are planning to do so in the future. For a number of years we have been very aware that there is virtually no adequate provision for children with severe learning difficulties. The children either do not go to school, or at school, are offered little more than a ‘baby-sitting service’. The only other option is for children to go to special school in Chiang Mai, 180 km away. Parents are understandably very reticent to send their children that distance.